Northern Karate Schools were established in 1972 by 9th Degree Black Belt and International Martial Arts Champion, Cezar Borkowski. 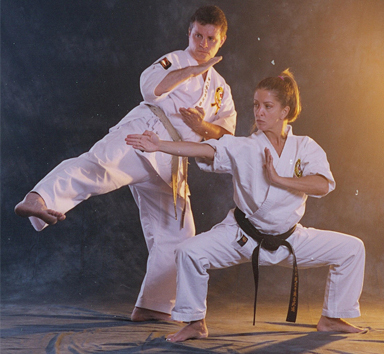 Hanshi Borkowski has won countless titles, is Director of Karate for the World Kobudo Federation, and is recognized as a certified instructor by the All Okinawa Karate & Kobudo Federation (Japan). Since its inception, Northern Karate has expanded to 15 locations in the metropolitan Toronto area, as well as several international schools, where more than 10,000 men, women and children, ages 3-70+, enjoy the benefits of an NKS' martial arts programs each week. NKS' students and instructors have appeared in a variety of local, national and international broadcasts, as well as in numerous newspapers and magazines. Additionally, NKS received the Ethnic Press Award and have been voted #1 by several print media. Through our association with the World Kobudo Federation (WKF), the largest multi-discipline martial arts organization in the world, Northern Karate Schools have affiliates around the globe. At Northern Karate, we believe a martial arts education is a vehicle for self-discovery and positive change. We also believe it can improve the world - one person at a time. That's why in addition to providing ivy-league martial arts educational programs for over thirty-five years, Northern Karate Schools have demonstrated a commitment to serving our community. We participate in a variety of activities including food and clothing drives, as well as fundraisers for organizations like Daily Bread and local food banks, schools, crisis shelters, KidsHelpPhone, Canadian Cancer Society, White Ribbon Campaign, The United Way, Ronald McDonald Children's Charities, MS Canada, ALS Canada, Starlight Foundation (NKS’ Brooke Brunetta memorial tournaments, $100,000 donated to date), Canadian Cancer Society, and NKS’ Personal Best Success System (in excess of $100,000 reinvested in GTA schools 2014-2016). We're proud our students kick and punch so well. We're even more proud that through their martial arts training, they learn respect for themselves and others as they strive to achieve PERSONAL BEST.